We are a small friendly popular club situated between Dover and Deal in Kent. Our grounds are situated in a small but beautiful wood nestling in the lovely Kentish countryside. Layout: we offer a varied 100 bird English sporting layout set over 10 stands which are set out amongst the trees. The course is varied so you will never get bored. Our primary aim is to make your time with us a really pleasant experience so you will come back and see us again. Stands: We offer a variety of stand layouts, all of which are set out among the trees and shrubs in the wood. In fact we have the choice of a wide variety of stands from which we set up our shoot of the day. To add more excitement for you we vary the position and direction of our traps so it is unlikely that you will be presented with exactly the same set-up twice. We offer a 50 or 100 bird english sporting layout and pride ourselves with giving you a different set of targets every time so you’ll never get board. 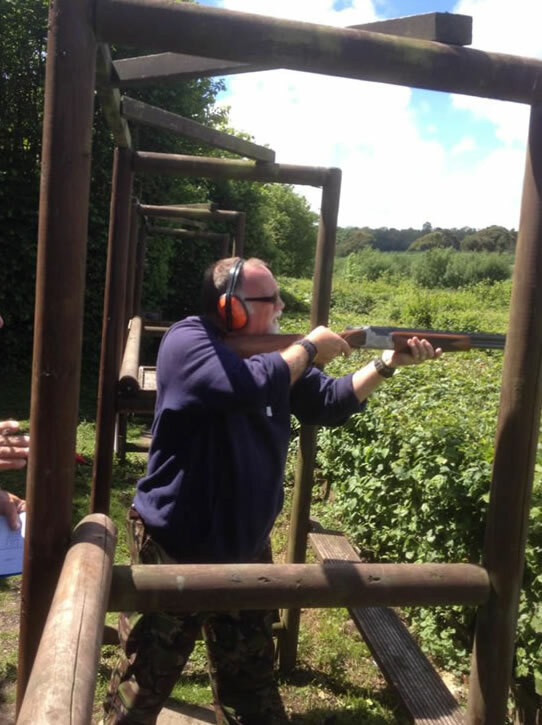 In addition we always provide a fully supervised practice stand with three different shooting positions and three different targets to help you learn regardless if you are a complete novice or someone that has a problem with a particular target, our club coach is on hand to encourage you and give you sound advice and instruction in a friendly manner. If you would like to see some of the setting up work that goes on behind the scenes just click on this fun link gallery.